CT has it's own Chapter of US Lacrosse. Here you find all sorts of info for boys and girls, youth and high school. A source for news, information, and products for all mens and womens D1 lacrosse teams. 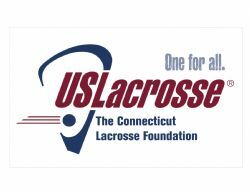 High school and College game reasults, standings, seedings, for all teams in CT and across the United States. Leading Edge Lacrosse provides the opportunity for players, coaches and parents to bring their game, their knowledge and passion for lacrosse to the highest level. Whether you participate in a camp, clinic, one on one instruction, league, travel team or purchase a cutting edge product from Leading Edge, you know it is the best you can get. At Leading Edge Lacrosse Is Our Passionâ„¢! MaxPreps.com is the nation's largest, most comprehensive, and highly visited high school sports Web site. The site was launched in 2003 and has quickly grown to become a popular web destination for high school student-athletes, coaches, parents and fans. MaxPreps is a celebration of high school sports that seeks to provide coverage for "Every Team, Every Game, and Every Player." Here is a short clip of Pete Carroll of USC, one our country's most winning coaches, describing the benefits of multisport athletes.